People make a decision when they are confident in the decision. The feeling of confidence is what triggers them to make the decision, to take action by making a decision. Research shows this, and researchers can actually see neurons fire in the brain—or sometimes hear neurons firing in the brain (because neurons make a slight electrical noise when they fire)—but they can see or hear when that happens, and they know it’s related to confidence. So it’s not like you have this idea of “Oh, if I collect enough information, if I have enough knowledge, then I’m ready to make the decision”. Yes, that’s true, but how much is enough? It has to do with the feeling (and it is a feeling, an emotion, a feeling of confidence) that “I have enough information, of the right information. I’ve talked to the right people and I’m confident of my decision” That's when you make the decision. You might actually be making it without any good information, but if we feel confident about it we can go ahead and make it. Now you’ve got to remember and understand that most decisions we make, we make unconsciously. We think we’re making the decision consciously, and we can tell you when we made it, and why we made it, and why we decided the way we decided. But in reality, that’s not true. The decision was made unconsciously. It was made before you became aware of it, and the reason you made it might not be at all what you think, or what you say, or what you believe. It’s interesting, but decisions are made unconsciously. In fact, with some of the new research techniques we have about looking into the brain and what’s going on in the brain, we can actually see when someone makes a decision. Researchers have been able to see when someone has made a decision. If they give them two options they can see which option has been chosen, on average, seven seconds before the person is aware that they’ve made a decision… before the person is consciously aware of what they’ve decided, and before they take an action. So, to really understand how unconscious this is: you make the decision, your unconscious mental processing makes the decision and then it takes about seven seconds for that to get to your conscious mind where you then know you’ve made the decision and then start to rationalize why you decided what you did, which is probably not the real reason. 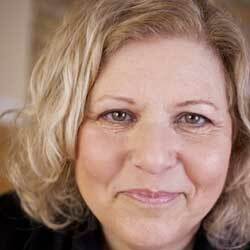 Susan Weinschenk has a Ph.D. in Psychology, is Chief Behavioral Scientist and CEO at The Team W, Inc, and an Adjunct Professor at the University of Wisconsin. She consults with Fortune 1000 companies, start-ups, governments and non-profits. Dr. Weinschenk is the author of several books, including 100 Things Every Designer Needs To Know About People, and How To Get People To Do Stuff. Clients include Medtronic. Walmart, Disney, Amazon, and the European Union Commission.